Over the course of the past decade, fintech has completely revolutionised the financial landscape. In the wake of the mobile-internet revolution, digital banking has become the new norm, with customers abandoning traditional branches in favour of convenient mobile apps. From e-wallets to biometric identification, digital innovations are rapidly becoming commonplace, with many now relying on such services daily. According to EY’s Fintech Adoption Index, one third of consumers are now using two or more fintech services. As young, tech-savvy ‘digital natives’ continue to drive fintech usage, a host of entrepreneurial start-ups and branchless banking firms are flooding the market hoping to capitalise on this growing trend. Success is by no means guaranteed, however: there are more than 20,000 fintech companies currently operating worldwide, meaning many start-ups struggle to stand out from the crowd, with only the most innovative businesses attracting crucial venture capital funding. 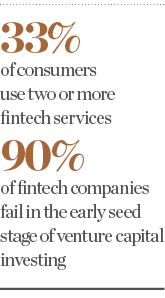 Indeed, nine of every 10 fintech start-ups fail in the early seed stage, meaning successful ventures are a rarity that require an elusive combination of talent, experience and investment. At Prepaid Financial Services (PFS), we understand that innovation is the key to success in this rapidly evolving market. As one of Europe’s leading e-money issuers, PFS has bucked the industry trend of unprofitability, returning profits for 10 consecutive years without taking on any institutional investment. Now on target to process over €2.5bn in 2018, this robust commercial growth has set us apart from our competitors. As customers increasingly reach for their mobile phones to carry out banking transactions, they are sending a clear message to traditional financial institutions: convenience is key. At PFS, we strive to make money management as frictionless as possible, ensuring convenience without compromising on security. In May, the introduction of the EU’s General Data Protection Regulation (GDPR) required companies to reassess the way they handled personal information, shining a spotlight on the urgent issue of data protection. Since its inception, PFS has placed customer security at the very heart of its operations, and we are proud to be fully GDPR compliant. Over the course of our 10-year history, this commitment to security has earned PFS the trust of international NGOs, traditional financial institutions and national governments, among others. Thanks to this diverse customer base, PFS has enjoyed steady financial growth; this year, we’re anticipating a remarkable turnover of €65m and we recently issued our five millionth card. With the future looking incredibly bright, an IPO could well be on the horizon. Indeed, an IPO would prove a pivotal moment for the company, setting PFS apart from its European competitors and showcasing our bold ambitions. PFS also plans to extend its capabilities outside Europe. Our current licence allows us to operate in 35 EU countries, of which we are active in 24. Encouraged by our success in Europe, we are now looking further afield, with Asia and Africa in particular emerging as promising fintech markets. In Africa, for example, traditional banking services have been slow to take off, while mobile phone usage has exploded. This has created the perfect climate for fintech adoption, with millions of Africans eschewing traditional banking and turning to innovative mobile solutions instead. Indeed, sub-Saharan Africa is home to more than 57 percent of the world’s mobile money accounts, demonstrating the continent’s exciting fintech potential. Asia, meanwhile, boasts the highest rates of fintech adoption in the world, with an incredible 69 percent of Chinese citizens and 52 percent of Indian consumers using some form of fintech product. As such, PFS is working to obtain financial licences in the Ivory Coast, Malawi, Angola, Hong Kong, Malaysia and Thailand. 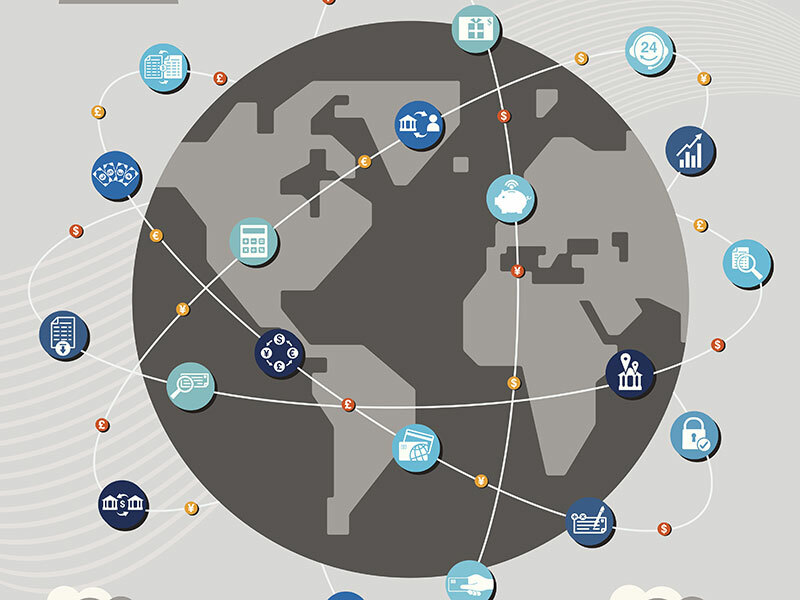 In the turbulent and competitive fintech market, innovation is a prerequisite of success. The world’s leading fintech unicorns are powered by a constant and growing stream of fresh ideas, and are always thinking of ways to make their services more convenient, efficient and secure. As global fintech adoption rates continue to rise, industry experts are looking towards the watershed moment when digital banking solutions overtake traditional financial institutions. With fintech showing no signs of slowing down, PFS is committed to investing in the industry’s bright future. In 2017, PFS took the bold step of launching a €1m innovation fund for entrepreneurs, early-stage companies and secondary schools, in the hope of discovering the fintech idea of the future. The innovation fund – the largest investment pot of its kind – soon attracted entrants from across the globe, all of whom were eager to share their budding ideas with the world. After reviewing more than 50 applications, PFS selected 12 outstanding winners, each with a completely unique and revolutionary fintech product that will help to further enhance our existing offerings. By investing in promising local and international talent, PFS is demonstrating its commitment to driving innovation in the industry. Further, as customers come to expect personalised and tailor-made products, these key investments in emerging technologies will be pivotal to remaining at the forefront of the exciting e-payments market. One of the most exciting aspects of the recent fintech boom is the potential to drive financial inclusion and promote wellness among society’s most vulnerable members. According to the World Bank, 1.7 billion adults remain unbanked – largely due to limited access to traditional banking branches, which tend to be concentrated in cities and commercial areas. With the advent of fintech and remote banking options, however, the world’s rural populations are gaining crucial access to affordable and convenient financial services. At PFS, we believe that fintech firms have a responsibility to use their technology to improve the lives of others, and we have a long history of supporting global campaigns that aid vulnerable citizens. This year, PFS completed a campaign with the UN’s World Food Programme, which provided 200,000 school meals to children in war-torn Mali. This was the first prepaid campaign of its kind to be approved by the organisation, demonstrating the positive impact that fintech companies can have in fighting cycles of hunger and poverty. What’s more, PFS has collaborated with the International Federation of Red Cross and Red Crescent Societies to provide aid through prepaid cards to refugees in Greece. This innovative solution has helped more than 6,000 refugees so far, offering them a practical and efficient way of receiving aid and managing their money. By supporting humanitarian efforts such as these, PFS hopes to inspire others in the fintech sector to launch similar initiatives, encouraging them to harness their technologies to have a positive impact on the lives of the world’s most vulnerable individuals.